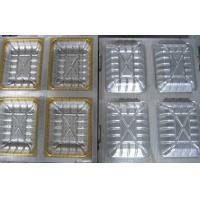 Molded Pulp Packaging Pulp Moulding Dies and Thermoforming Molds. 1.Take waste paper as raw materials,such as used paper packages, carton, newspaper, magazine, book etc. 2.Adopt special machining technology for holding eggs, fruit, bottles. 3.It is propitious to environmental protection. 4. Save cost of transportation. 5. Aseismatic capability is fine and suitable for long-distance transportation. 6. 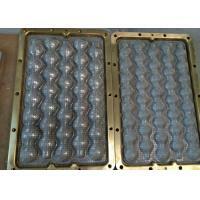 The machine that was used to make egg tray also is available for producing fruit tray and other industrial packages. 7. 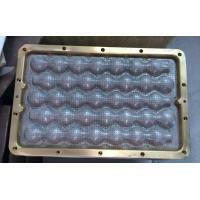 The technology of egg tray production line is brought in from Germany who owns the most advanced tech. 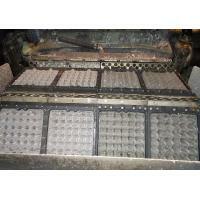 the quality of the machines can be definitely assured. The pulp moulding tools team is devoted to researching, designing and manufacturing the pulp molding dies/tools.the pulp molding design engineers have been in the pulp molding industry with many years professional experience and know the pulp molding production, pulp molding machines and molded fibre packaging well. 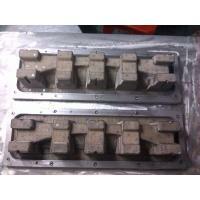 Our pulp molding team have handled thousands of the pulp molded designs and pulp molding dies in the world. the pulp molding dies are customized according to the customer pulp molded factory.. all the pulp molding dies are designed by computer and processed in the CNC center and tested in the factory before delivery. 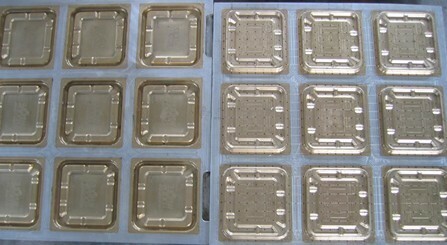 Pulp Moulds Making based on. 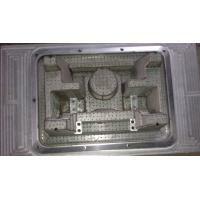 We can design the molds according to the customer existing design and samples.also we can design the pulp molding tools as per the products to be packed. 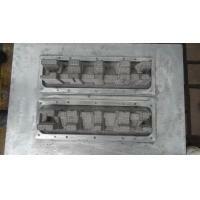 The pulp moulding dies are made according to the different pulp moulding machine and different moulds material. All the customer individual designs will be completely processed in the confidence. 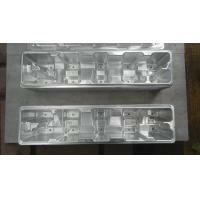 All the molds drawings are kept in strictly and customers can get the approved design anywhere and anytime. All the pulp molding tools are designed and made focused on the perfect design,products stacking, products quality ,tools performance and tools life,products effective denesting and pulp moulding machine running. The Pulp moulding dies have mounted on the different pulp moulding machiner manufacturer such as Hartmann,Huhtamarki,Emery,Stifurtun,SPM,TPM…. Green forest pulp molding co.,ltd is a designer and manufacturer pulp molding machines，molded fibre machines and pulp molding accessories with many years experience from the production and feedback from the customers. 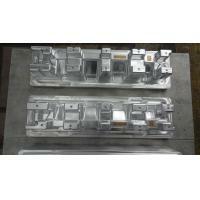 And also we keep developing and improving the pulp molding machines and pulp molding accessories with update technology. All our pulp molding machine is designed and manufactured based on the production efficiency, production reliability ,energy efficiency, cost-effective,pulp molded products quality, easy and low maintenance, pulp molding tools quick replacing,user friendly. Our machine will run and make the quality molded fibre products,molded pulp products,meeting the customer production and market requirements. 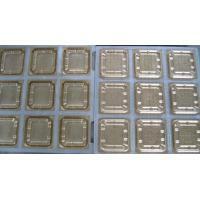 We also supply the customized service with the customer. The pulp molding machines will be designed and made according to the customer local production condition and sources, pulp molded products quality requirements. It will help the customer get the quality products with low cost. For us. We are the partner with the customers for long terms.the customer service will offer the update technology and consulting service with the all the customer all the over world. 1, pulp molding machines and pulp molding production lines.pulp molding machines for pulp egg tray, pulp egg carton,apple tray;pulp molding production lines for the industrial packaging;pulp molding thermoforming machines for fine and high quality pulp molded products and tableware. 2, Pulp moulding tools,pulp moulding dies/molds pulp molding machines.pulp moulding dies, pulp molding dies/molds, egg tray molds/dies, egg carton dies/molds,pulp molding industrial packaging tooling/dies,pulp molding tools/dies for the disposable medical products, pulp molding dies/tools for the disposable tableware. 3, Molded pulp products and molded fibre products,such as paper egg tray,paper egg carton,molded pulp packaging products , paper shoes inserts , pulp tableware…..